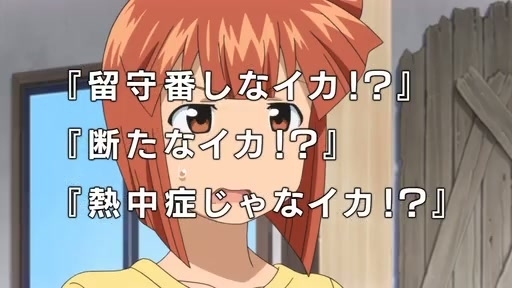 Invasion!? 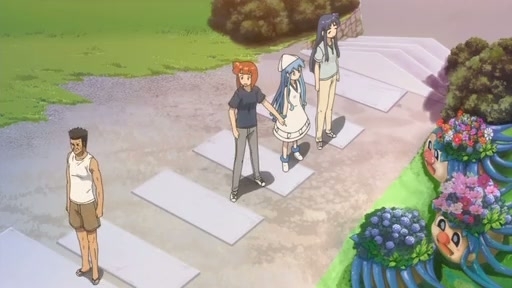 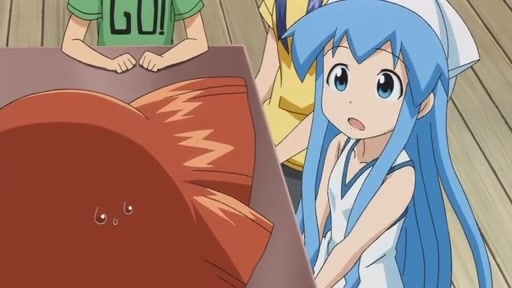 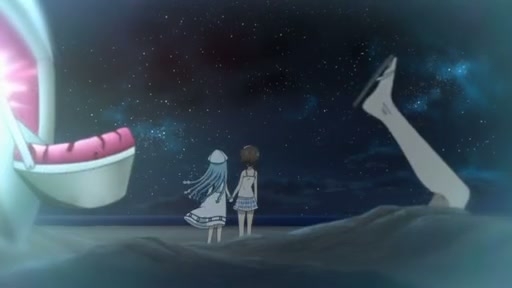 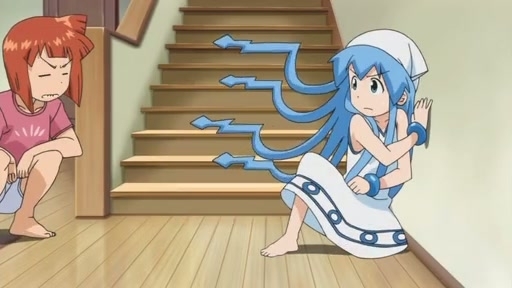 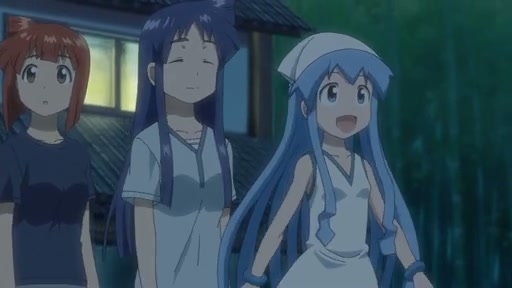 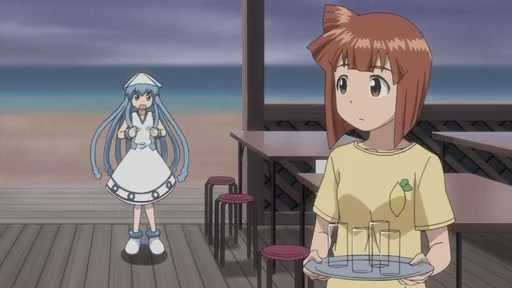 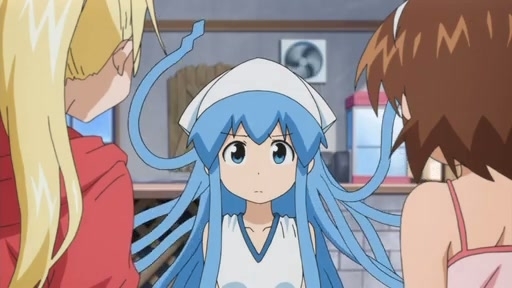 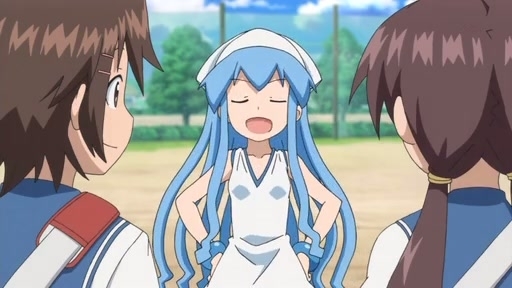 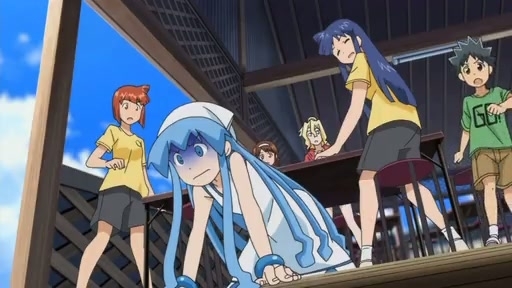 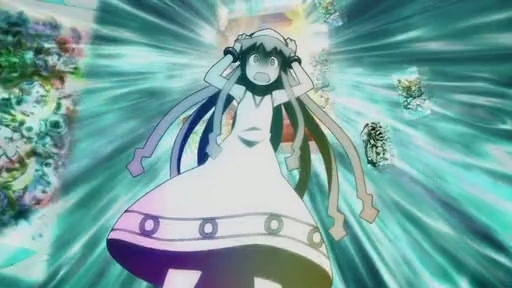 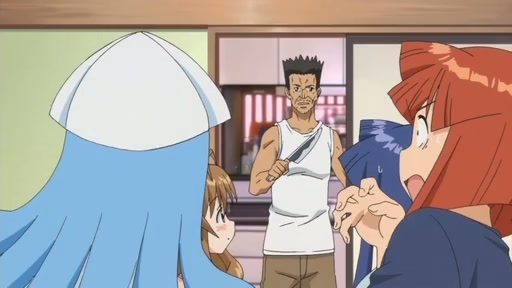 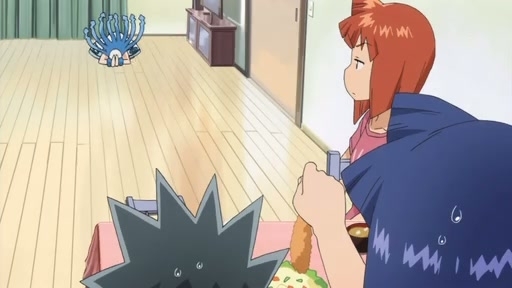 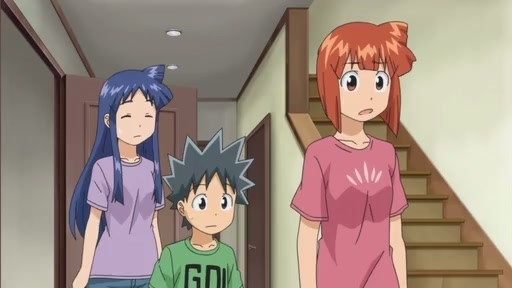 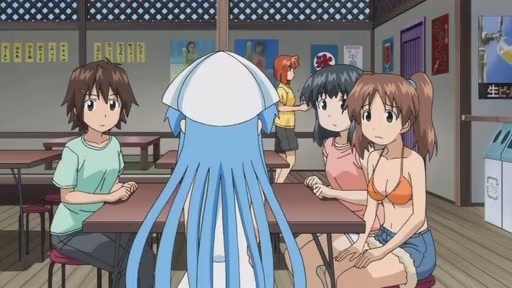 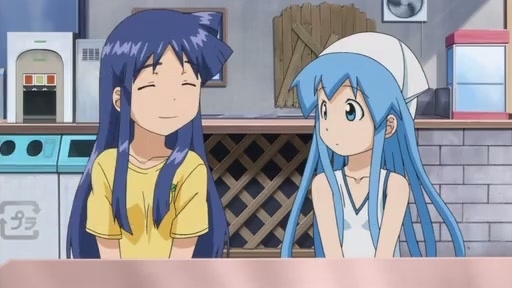 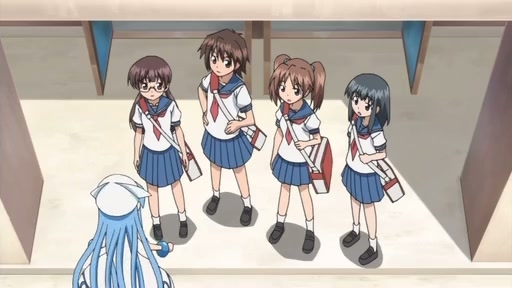 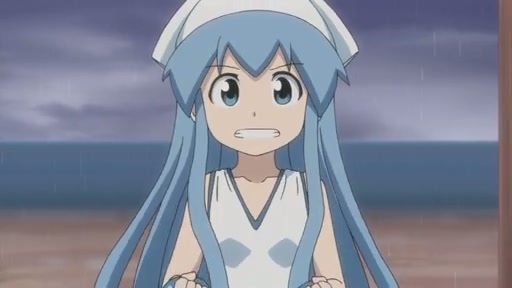 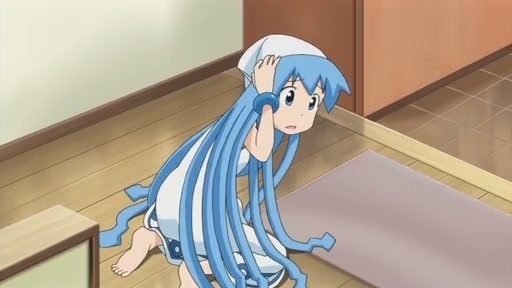 Squid Girl #19 — Oh Boy, Amnesia! 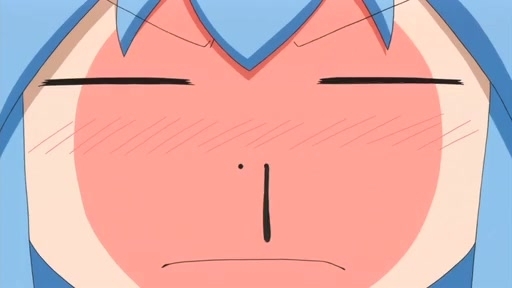 And A Montage! 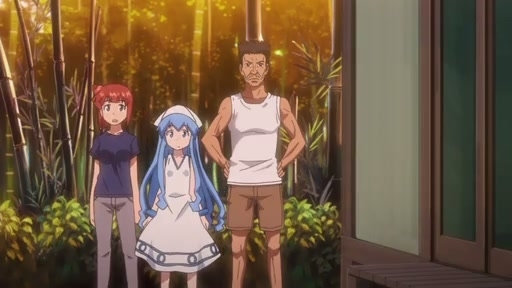 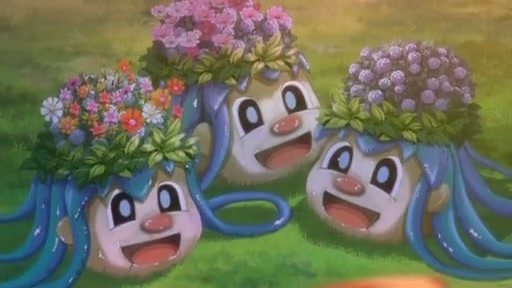 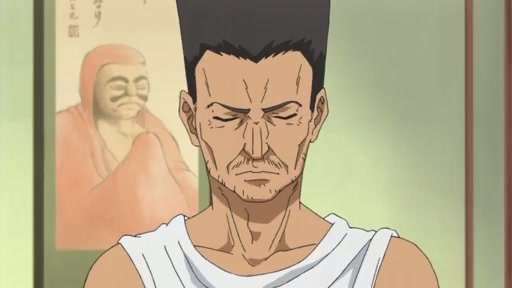 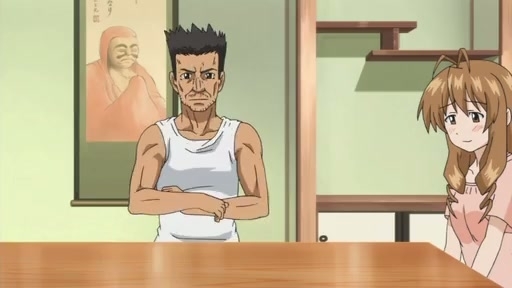 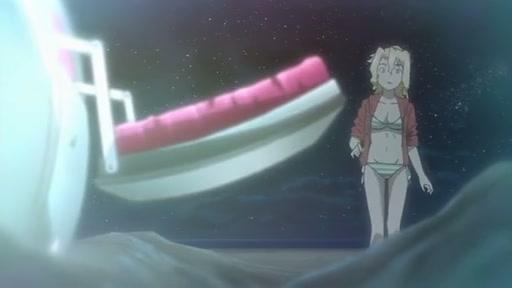 I think this show goes out of its way to annoy me on purpose sometimes. 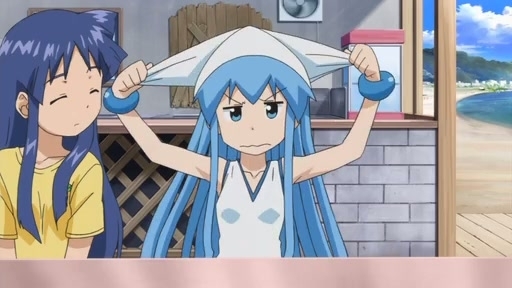 Another Monday, another episode of pure, undistilled mediocrity, if even that. 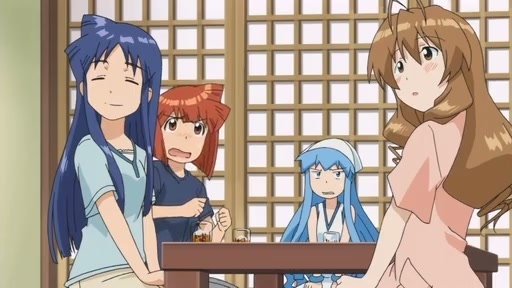 I’ll take being notably terrible over being this bland any day of the week. 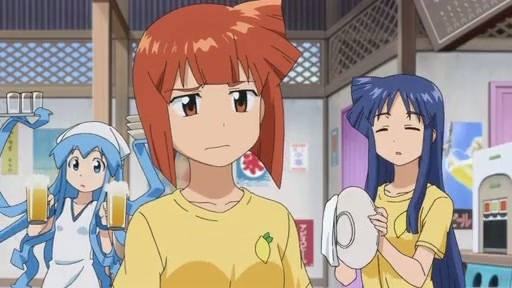 I guess the first segment was the best as it was the only one not made of either 98% recycled jokes or focused on the lamest characters in a show that doesn’t exactly have a strong cast to begin with. 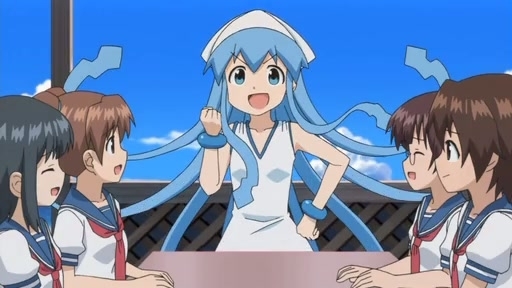 They could have run with the one partway decent joke of that, the squidhead design for things, but instead decided to basically do bad standup. 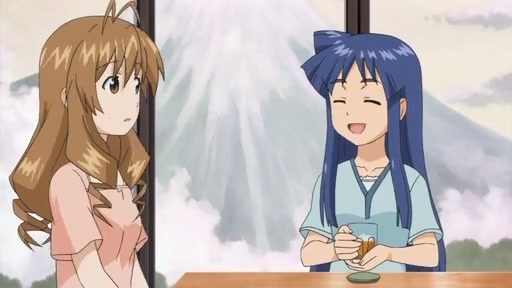 The rest was just a downward spiral. 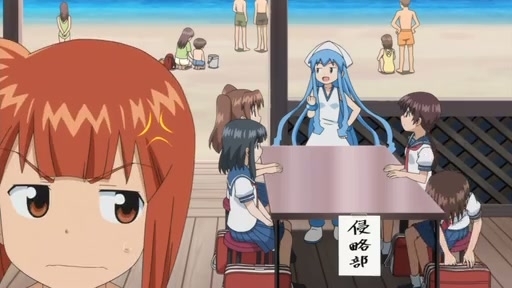 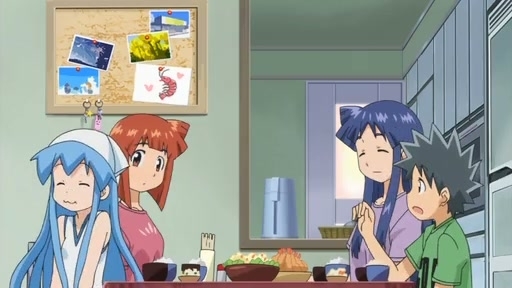 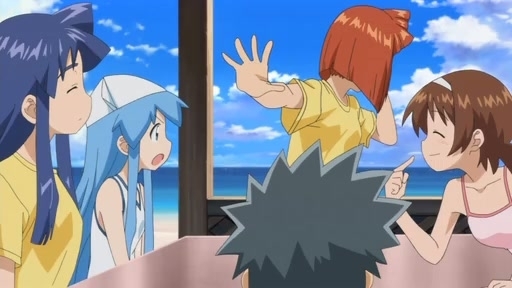 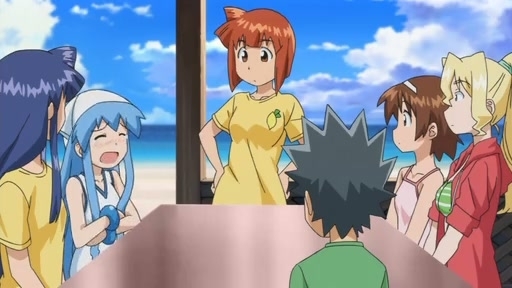 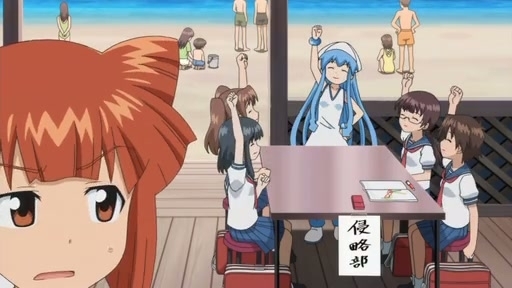 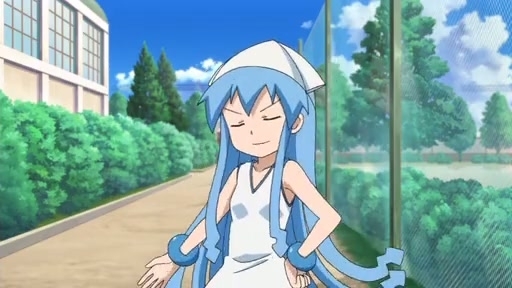 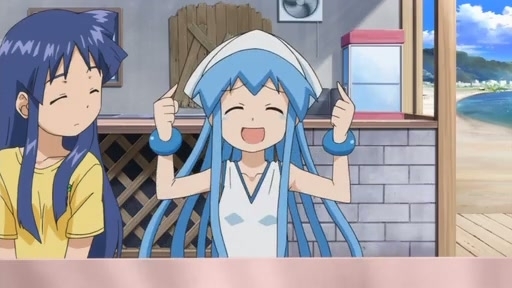 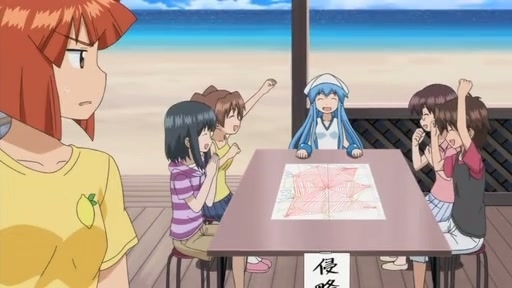 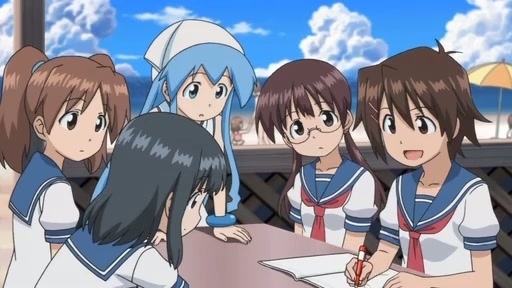 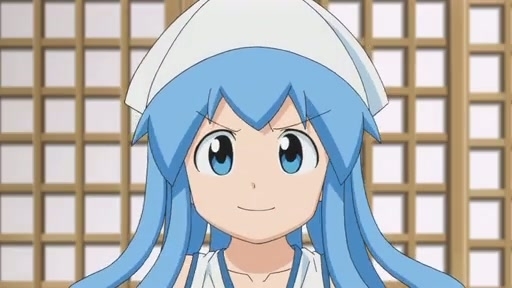 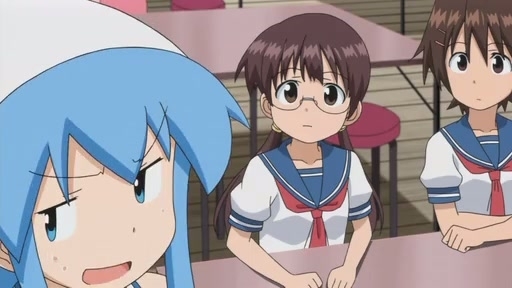 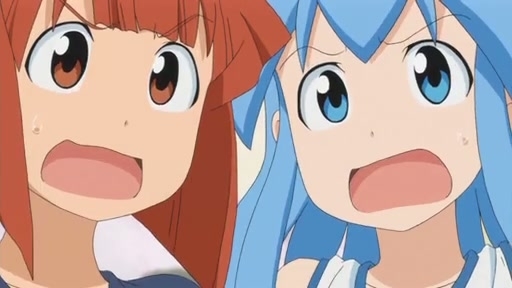 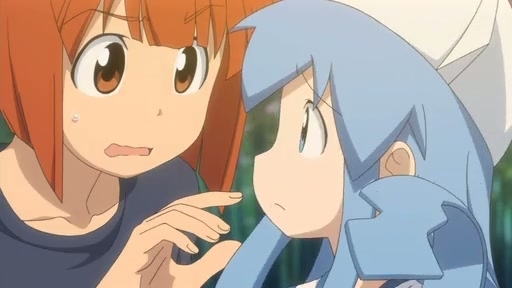 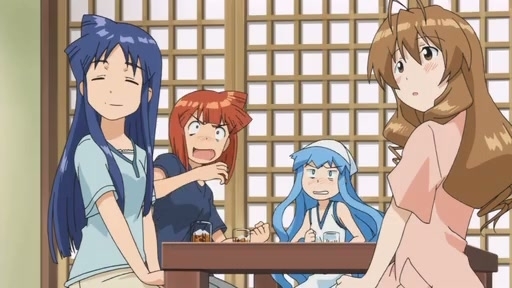 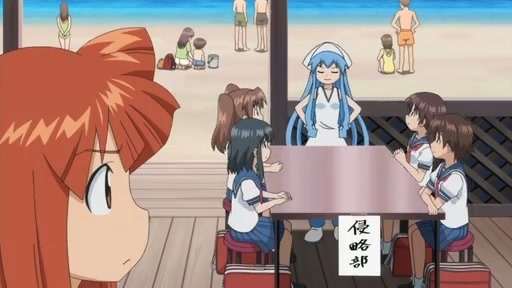 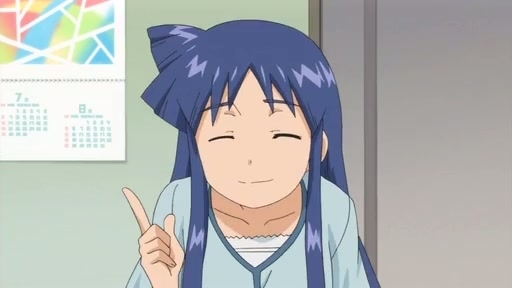 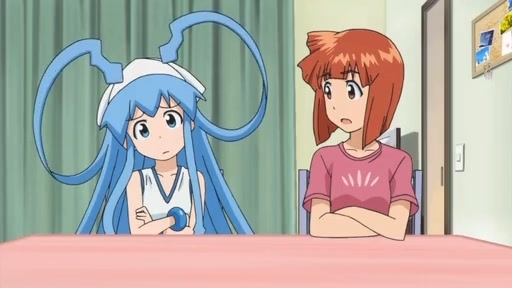 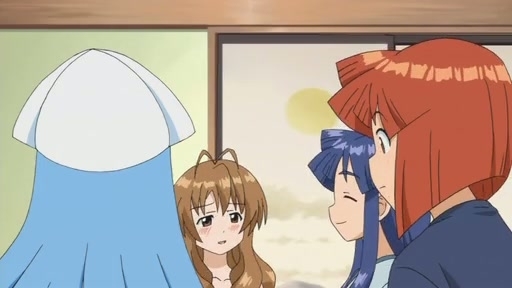 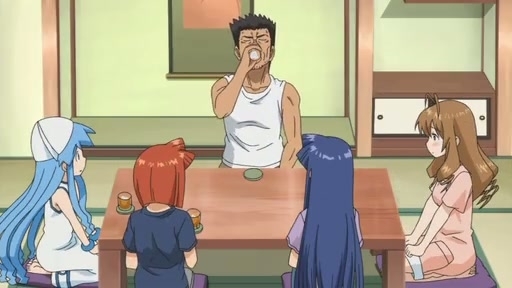 You are not good enough to be self-referential, Squid Girl, and using amnesia as an excuse to sit around and recap character traits just makes me want to slap you. 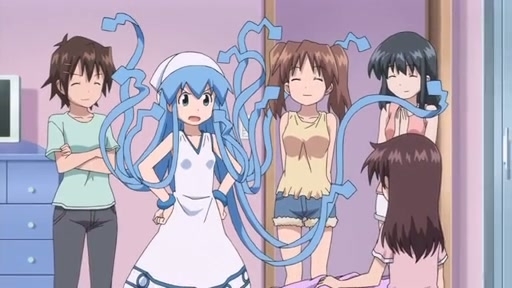 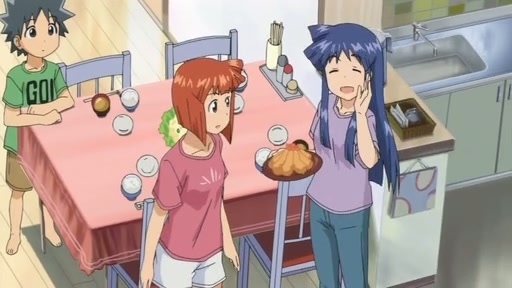 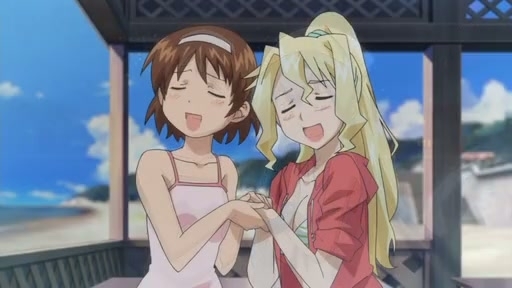 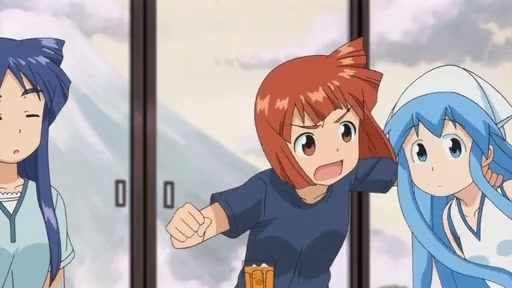 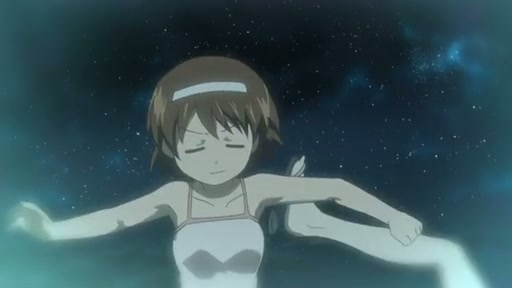 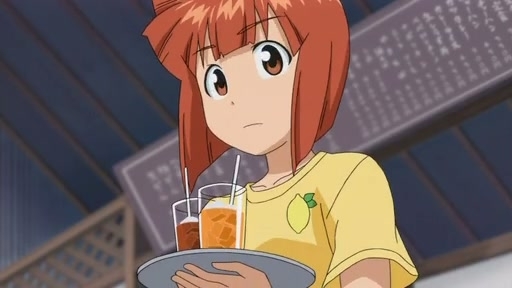 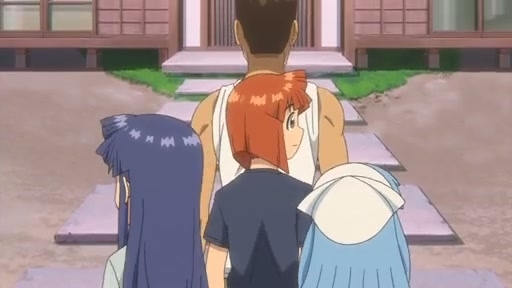 Again, they could have gone somewhere decent with it, Squid mistakenly latching onto Eiko for example. 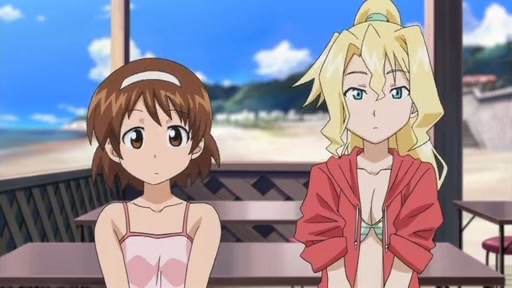 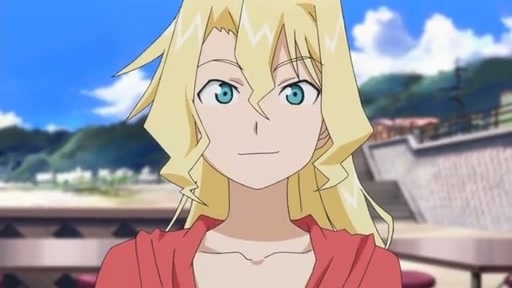 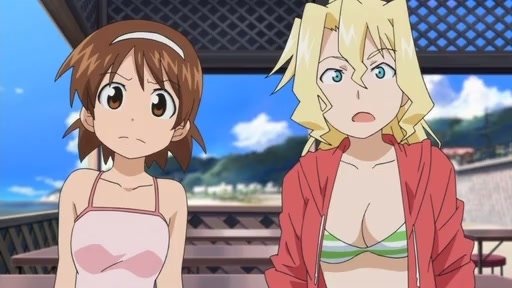 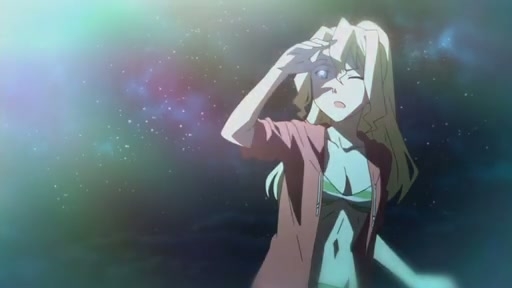 Instead, that was a one-liner throwaway so they could give more screen time to review. 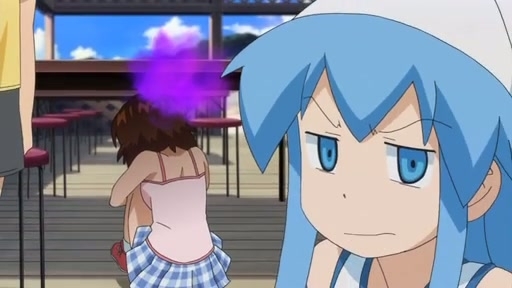 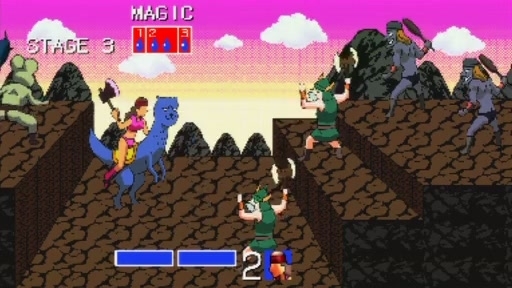 And then there’s the invasion club segment. 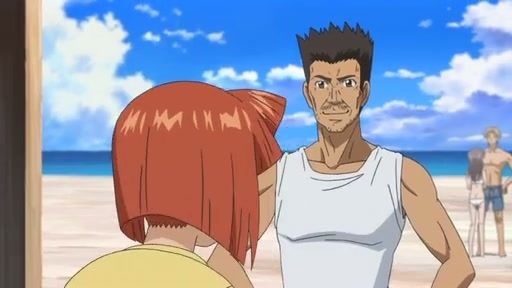 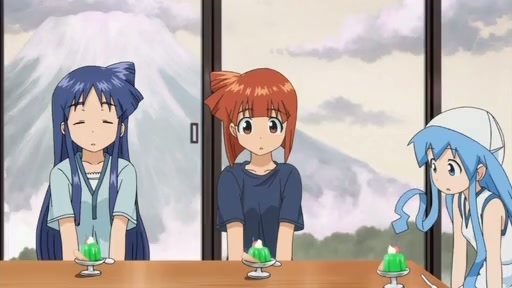 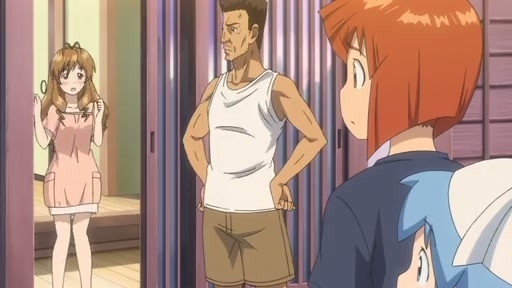 They seriously spent about thirty seconds explaining that the soccer club plays soccer, and the kendo club does kendo, therefore what does the invasion club do? 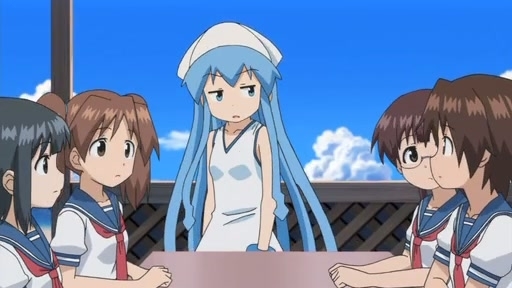 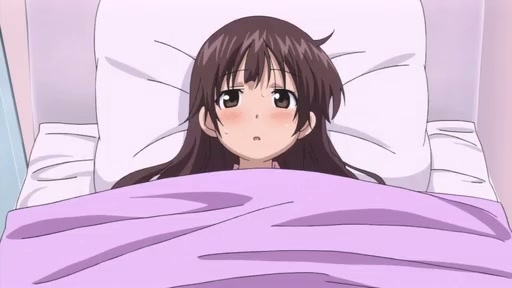 –Blank stare– "Eeeh?" 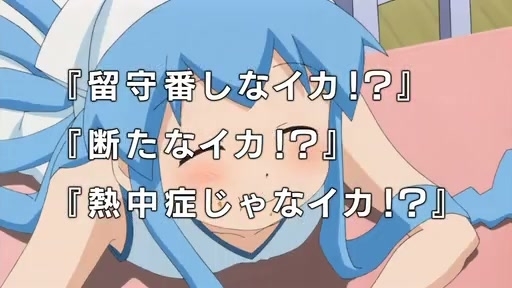 Then it was time for a montage with the first season’s OP playing with extra crappy effects to simulate a bad karaoke machine. 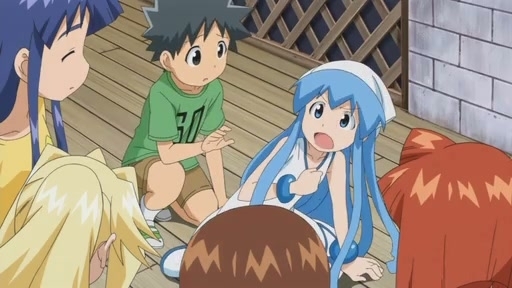 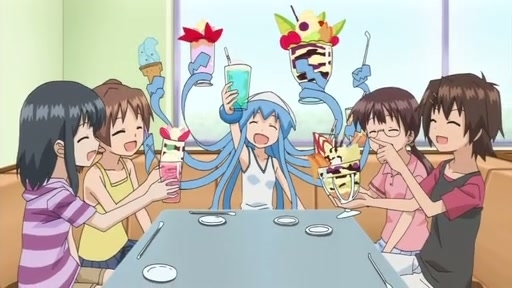 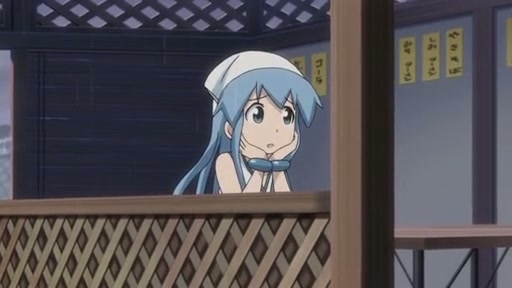 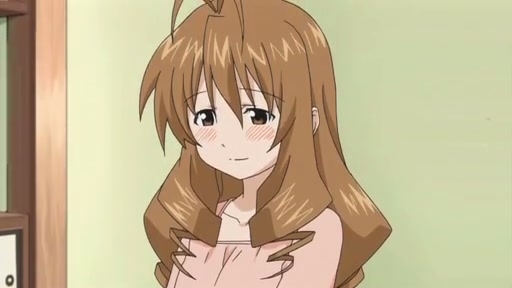 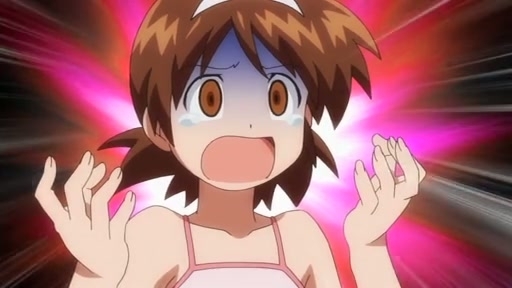 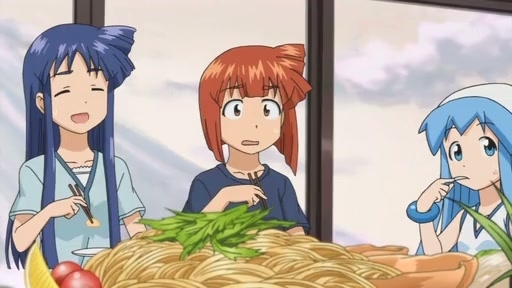 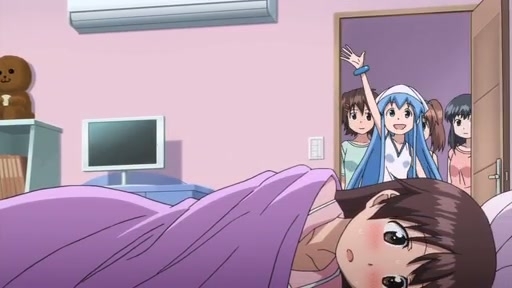 You make me long for Maken-ki and Mashiro, Squid Girl. 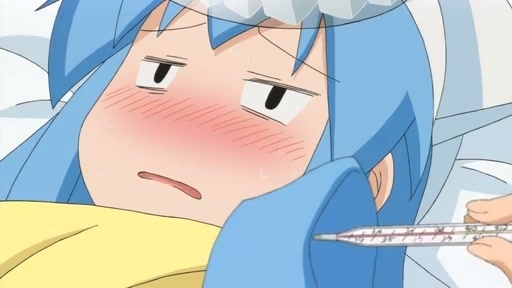 Home alone and heat stroke. 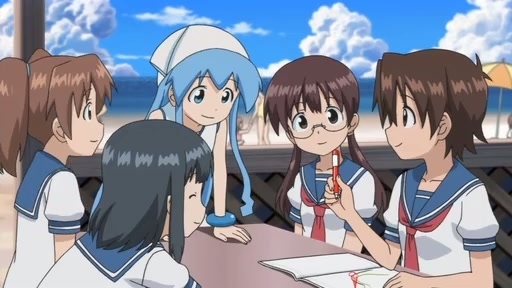 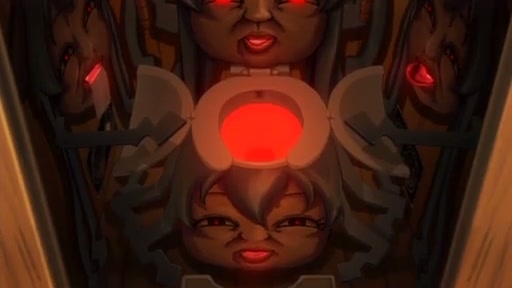 Little did Aroduc know, next episode would involve a flashback re-examining her origins and motivations, one of her friends would be revealed as a puppet, she’d lose all confidence and mope about how unqualified she was and entire battles would occur using revolutionary new “all-CG-blur-line” methods. 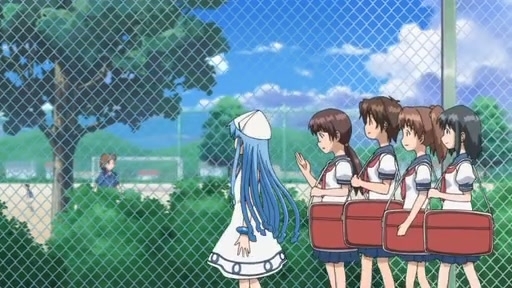 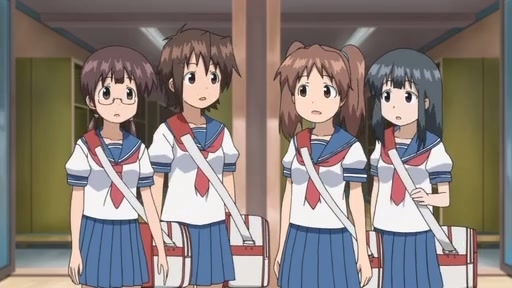 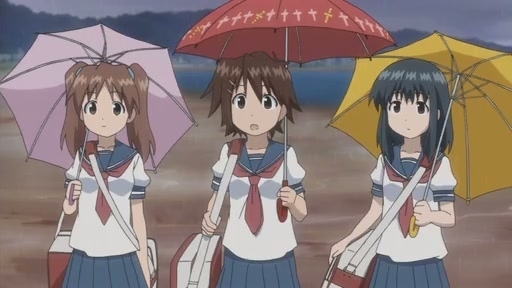 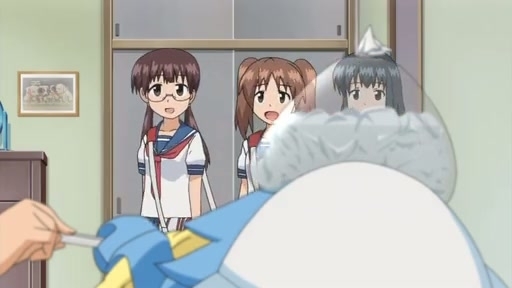 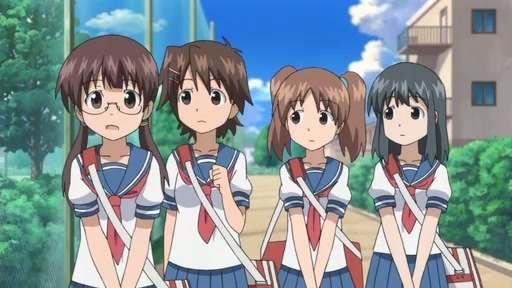 The flashback, of course, would be nothing but stills of the characters’ heads and distance shots, and somehow Rie Kugimiya and Yukari Tamura would provide the voices. 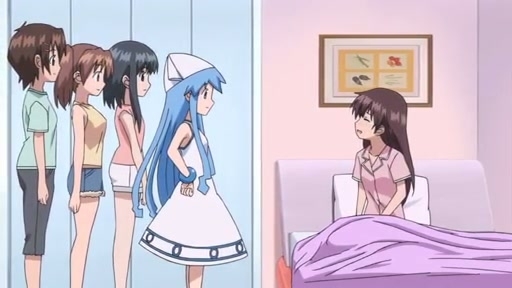 And they’d be screaming.